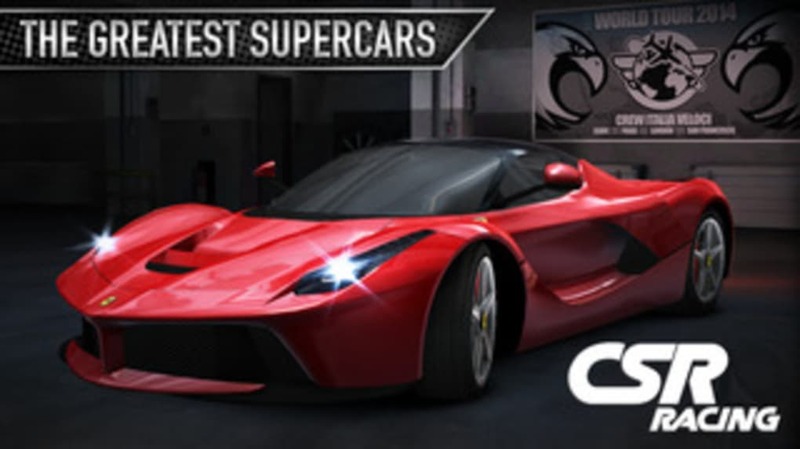 CSR Racing is a drag racing game for iOS where you race against opponents for cash to upgrade and buy new cars. 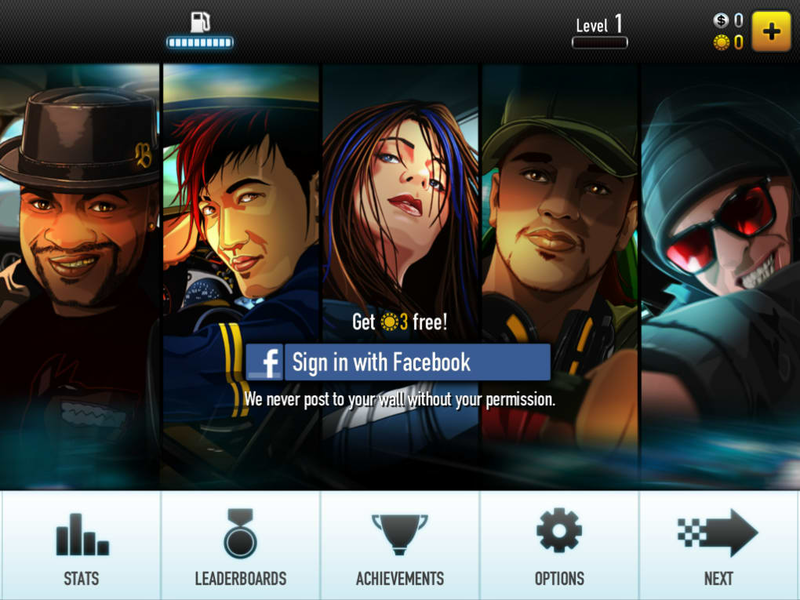 There is a loose story in CSR Racing. 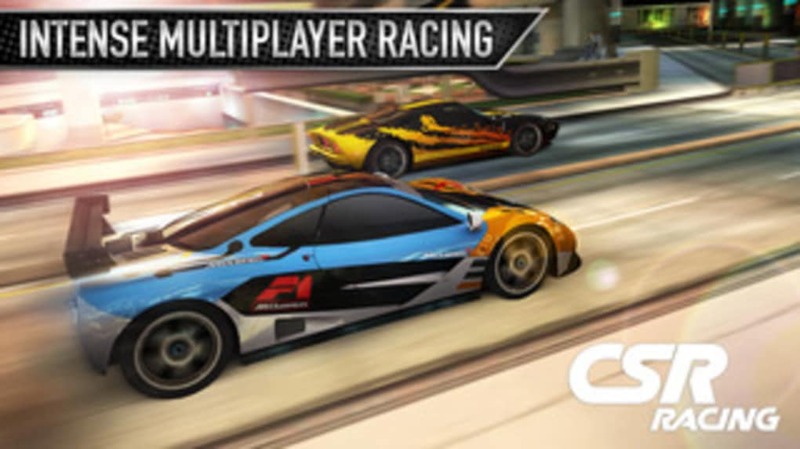 You're a newbie racer trying to defeat different race crews throughout the city. 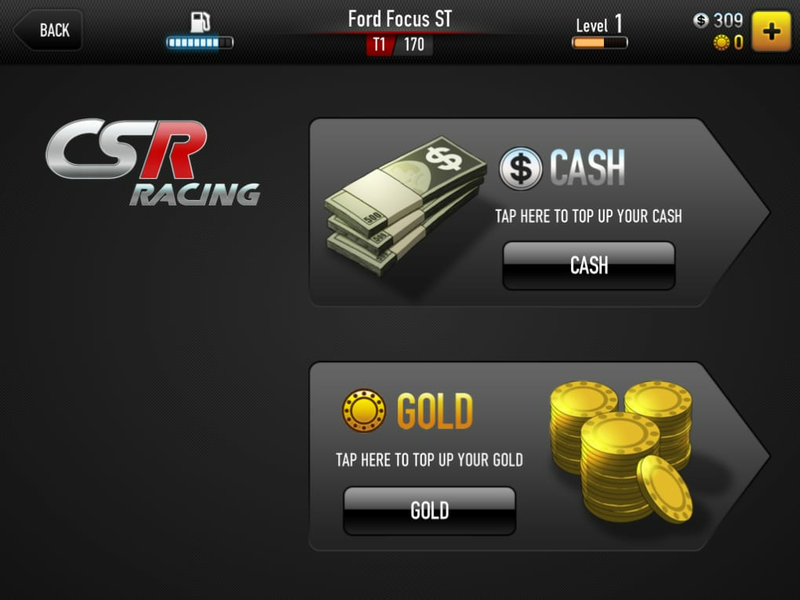 You gain cash and experience by racing in different events. 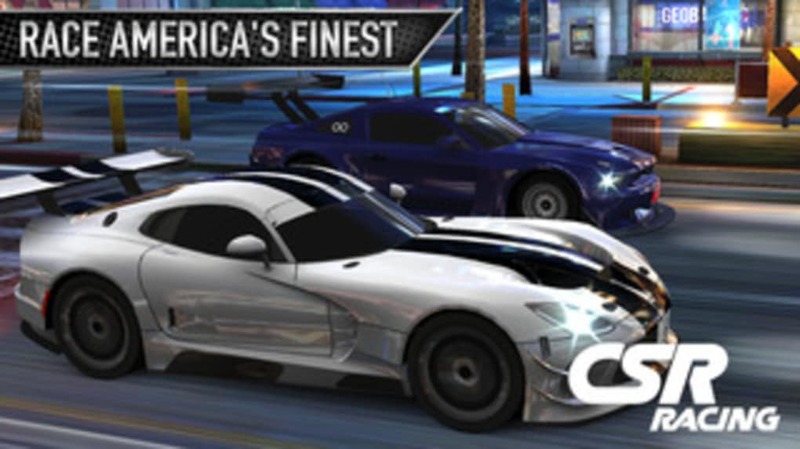 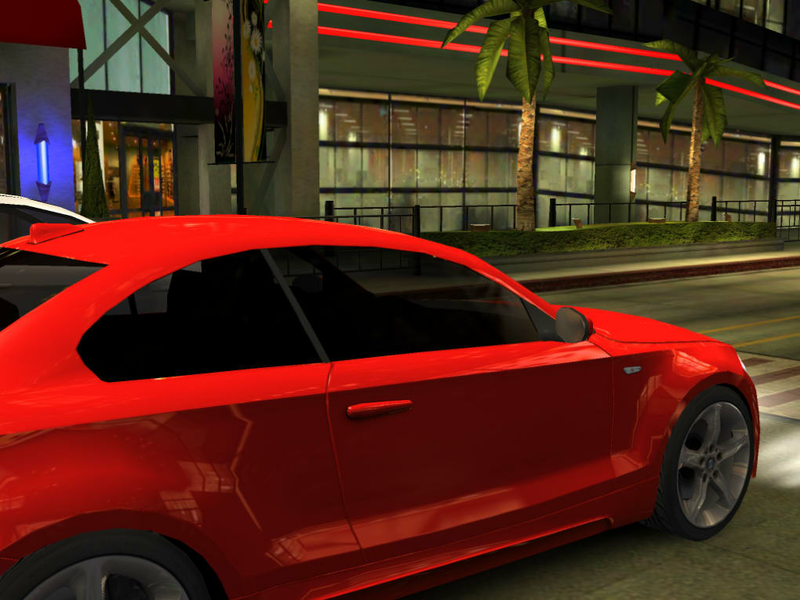 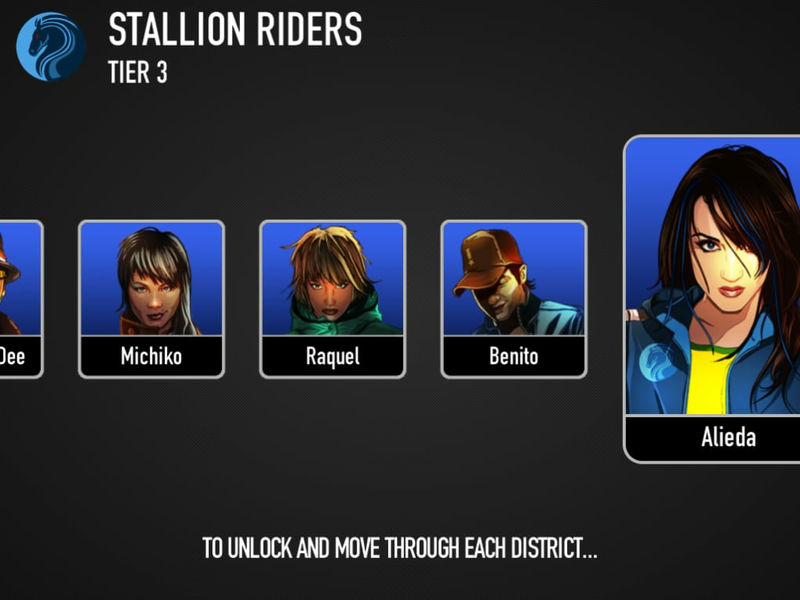 Upgrade your cars with cash until you're ready to face the bosses in rival street crews. 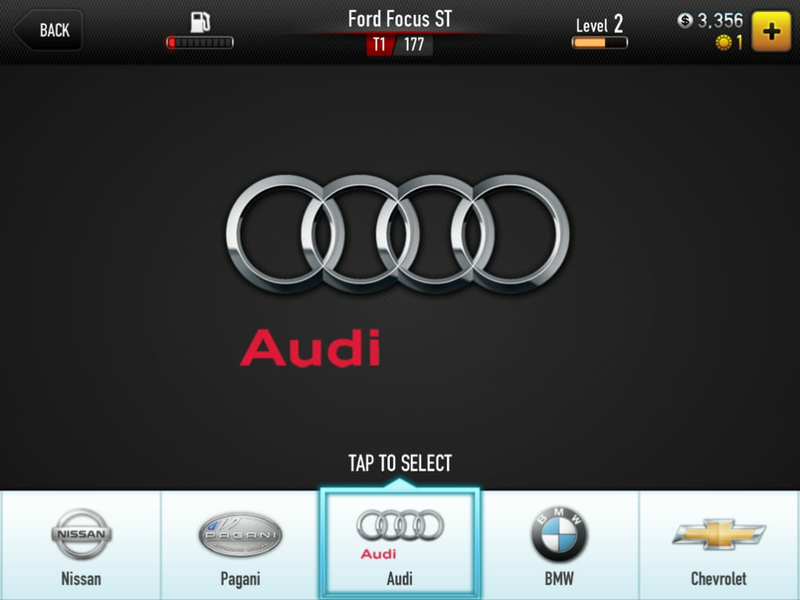 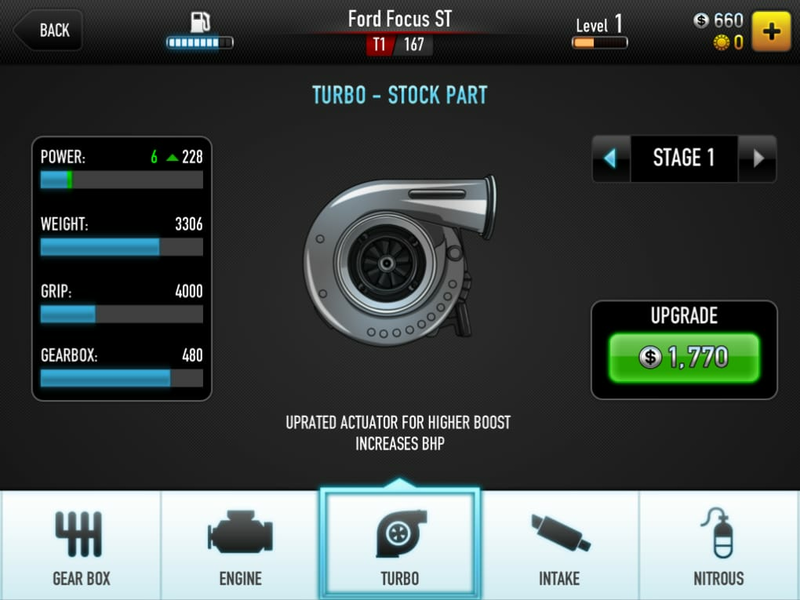 Since CSR Racing is a drag racing game, the controls and gameplay are very simple. 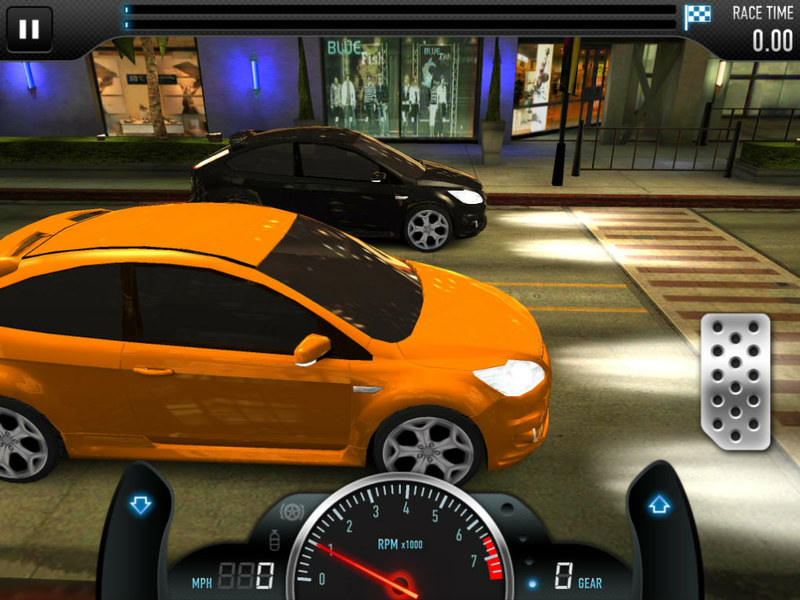 There is an accelerator pedal and two paddles to shift up or down. 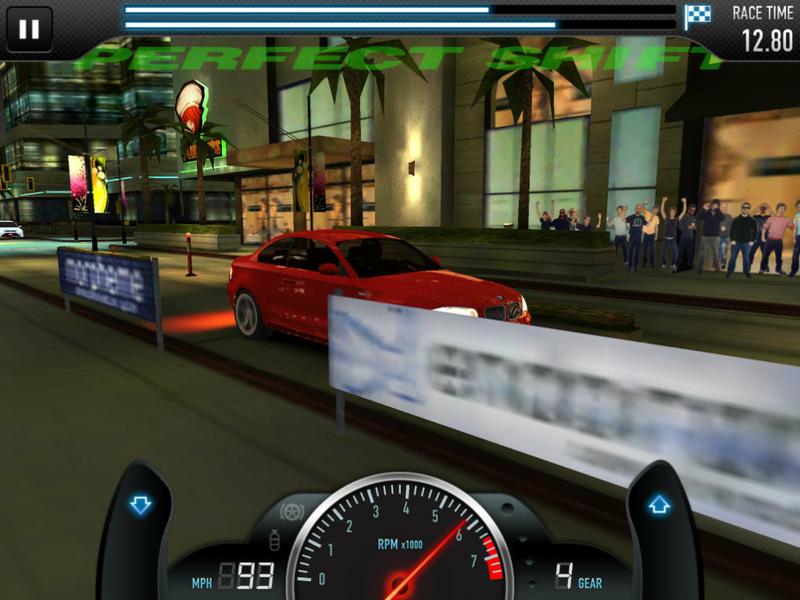 You realistically only need the accelerator and up shift paddle to play the game. 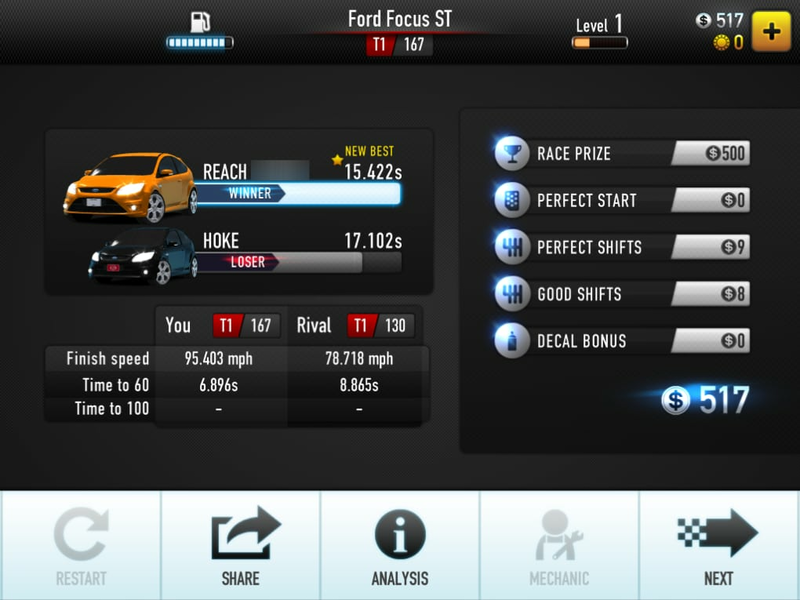 The hardest part about CSR Racing is trying to get a perfect launch. 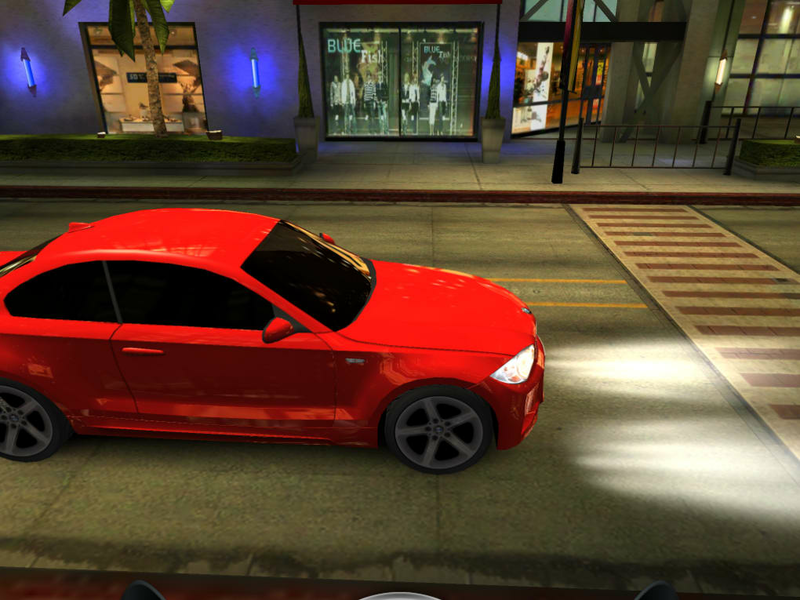 This is pretty difficult as the accelerator pedal isn't very accurate and can't hold revs. 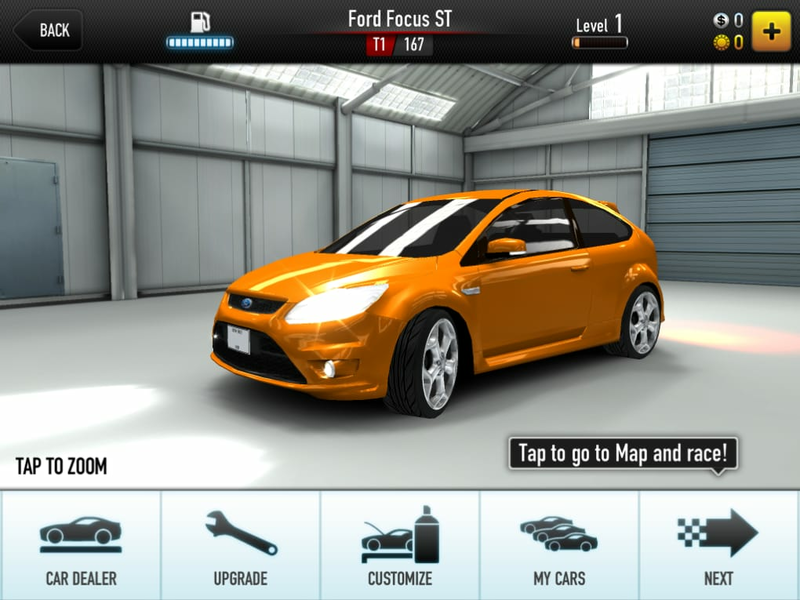 While the racing in CSR Racing is fun, it's short lived. 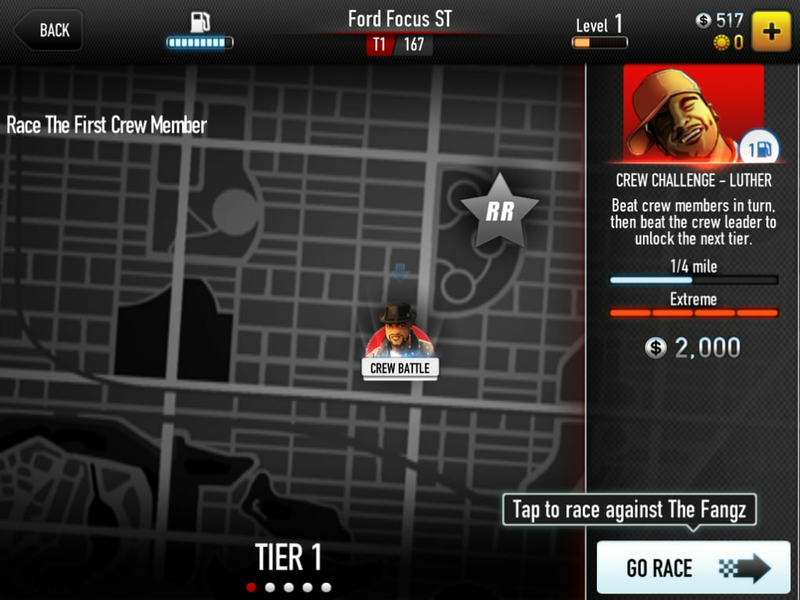 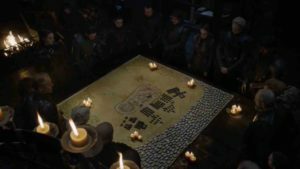 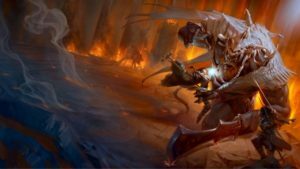 Every race will take away one "gas" point out of 10. 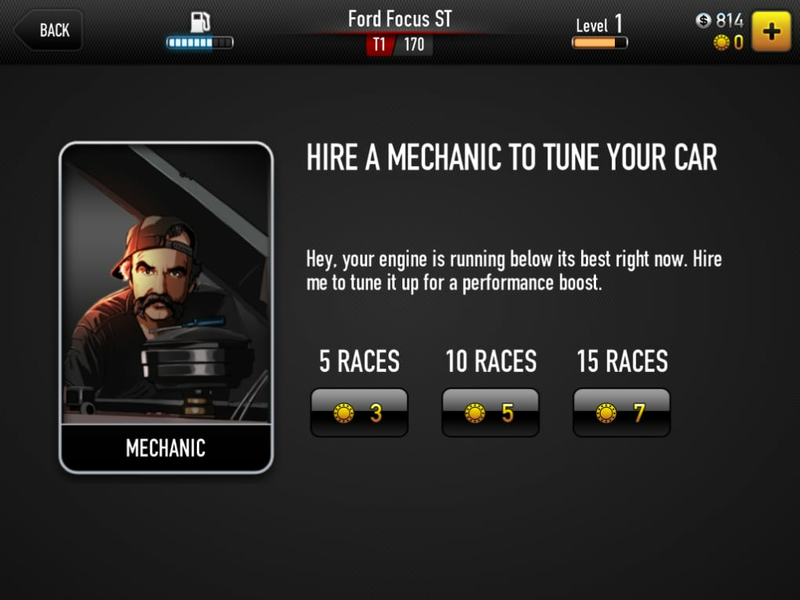 Once you run out of gas, you can't race. 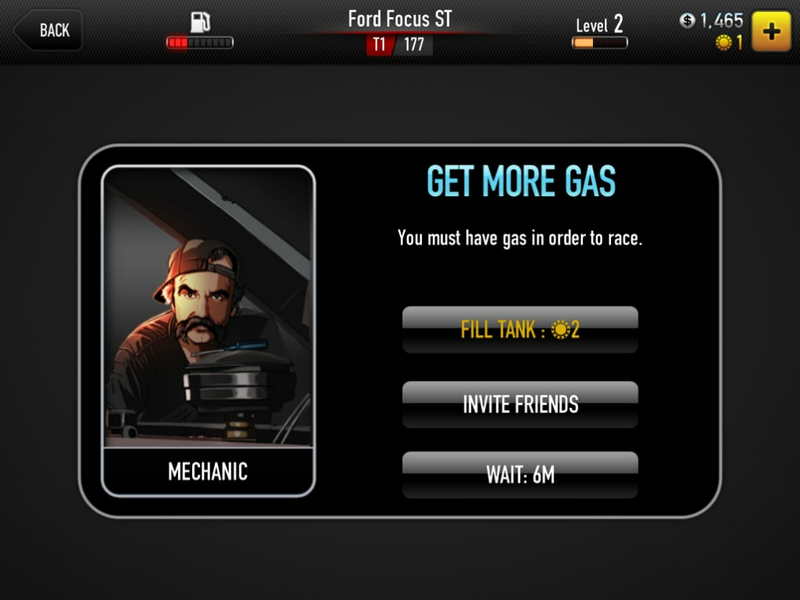 You can purchase more gas with the in-game coins or you can wait 6 minutes for each gas point, or an hour for a full tank. 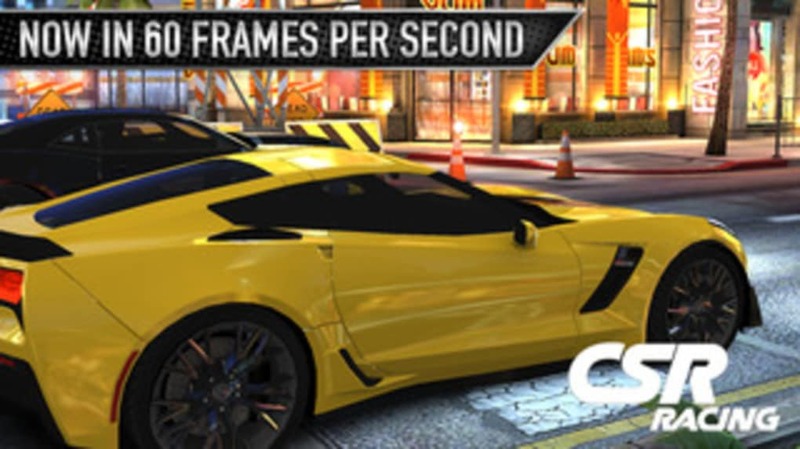 This means you'll have 10 quick races and you'll have to wait a full hour for another 10 quick races. 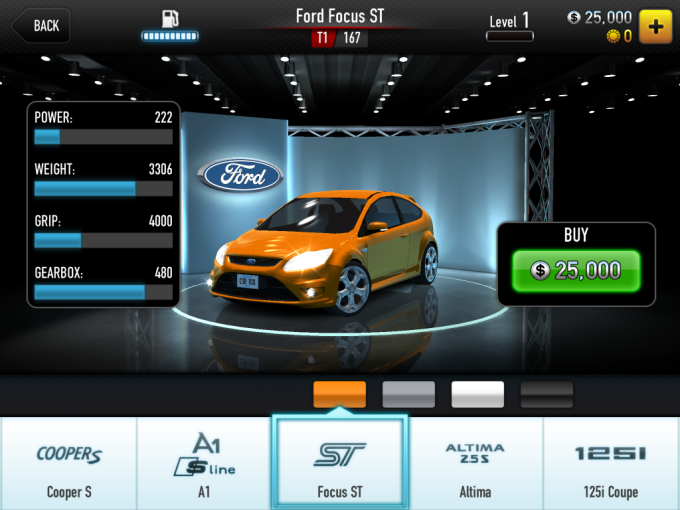 CSR Racing is an exercise in patience. 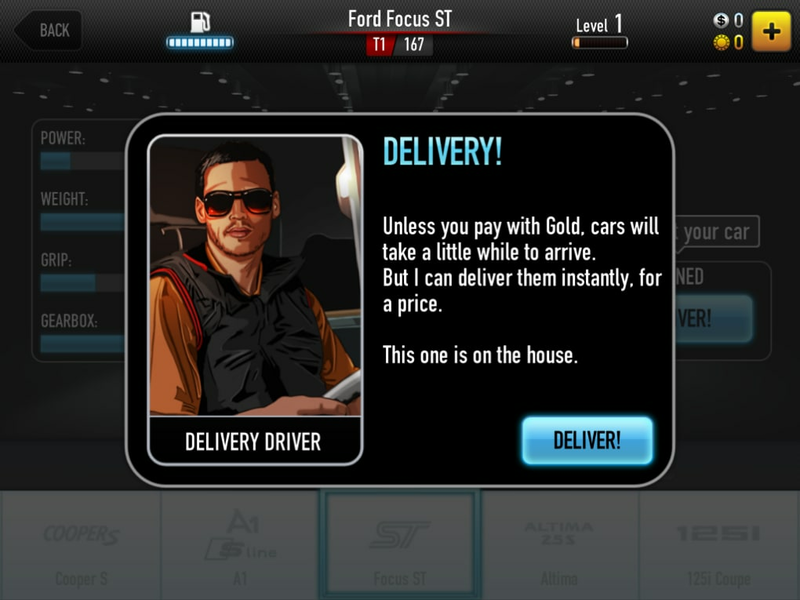 Not only do you have to wait for your gas tank to fill up quite often. 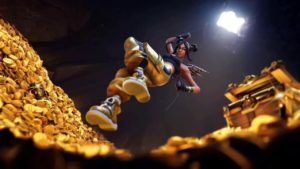 Players can purchase more virtual cash and coins with real money but there's no way to convert cash earned in race into coins, which you need to purchase most cars in the game. 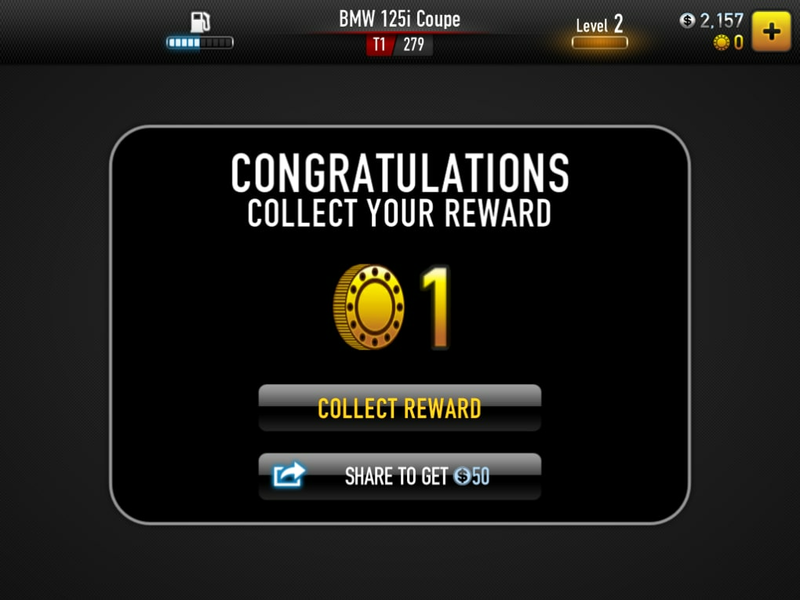 This means you'll be playing CSR Racing for years until you have enough gold coins to purchase a decent car. 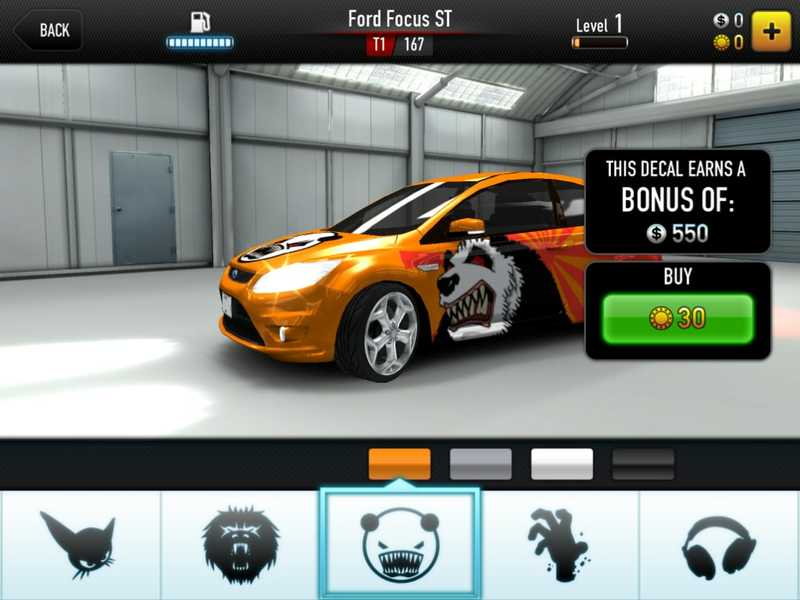 There are some redeeming qualities of CSR Racing. 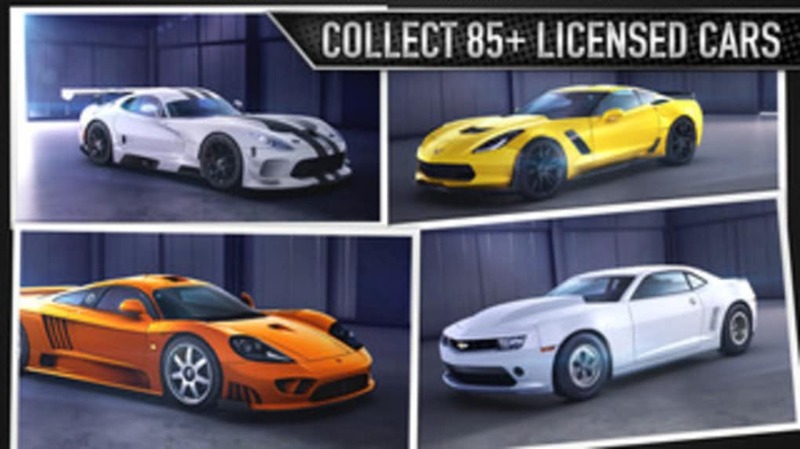 Graphics are great and it's nice to see real cars used in the game instead of generic ones that didn't have to be licensed. 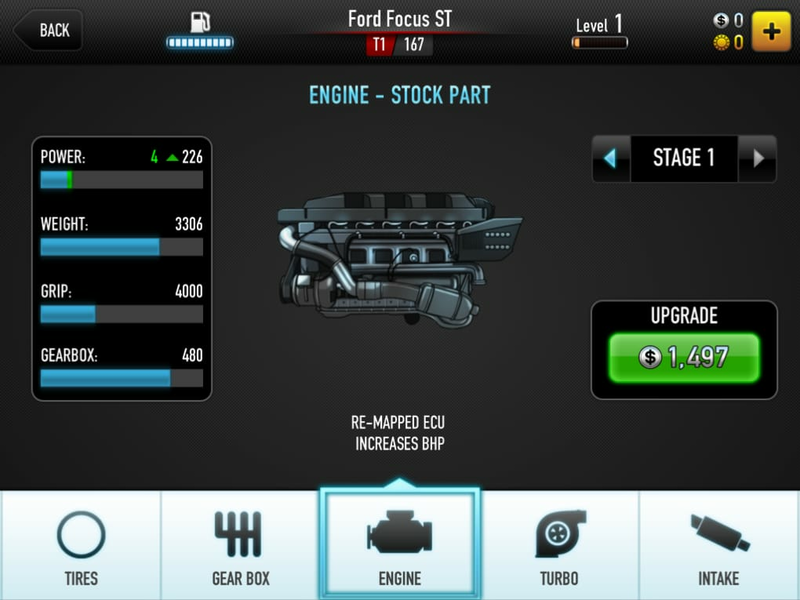 Upgrades are satisfying and definitely change the characteristic of the cars. 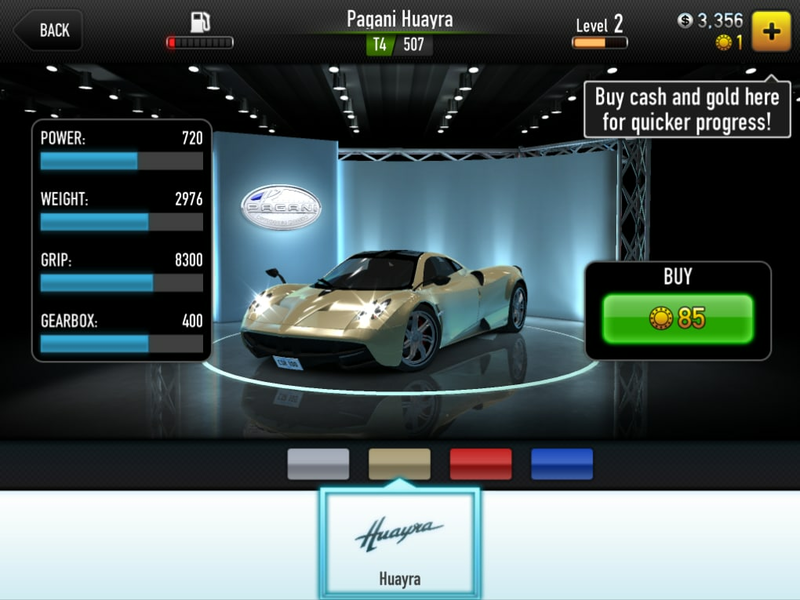 While CSR Racing is fun, be prepared to spend some real cash if you don't want to wait eons to progress in the game.